Flamingos : Why not – 365posterblog. Back from the seaside now, traditional fare will have to wait for now although today’s subject does have a connection. Today has been all about flamingos, first my daughters t shirt and then the fantastic flamingo character Featherstone in Gnomeo and Juliet. 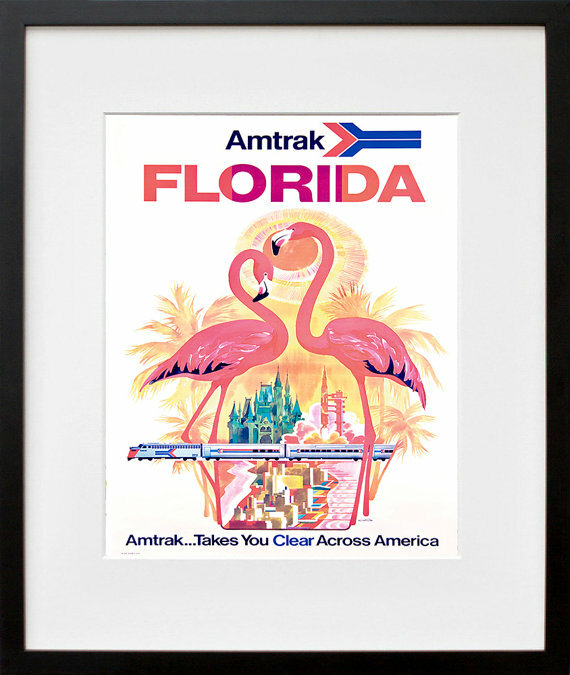 So I searched Flamingo posters, not too surprisingly Florida features large. Having lived on the Georgia coast for a while there are few more visual sites in the world than a flock of flamingos in the Florida glades. Rail travel in the US lacks the glamour of that in the UK, primarily because the car has always been king. Moving back to our search for a mid century American poster hero, Klein is it ! 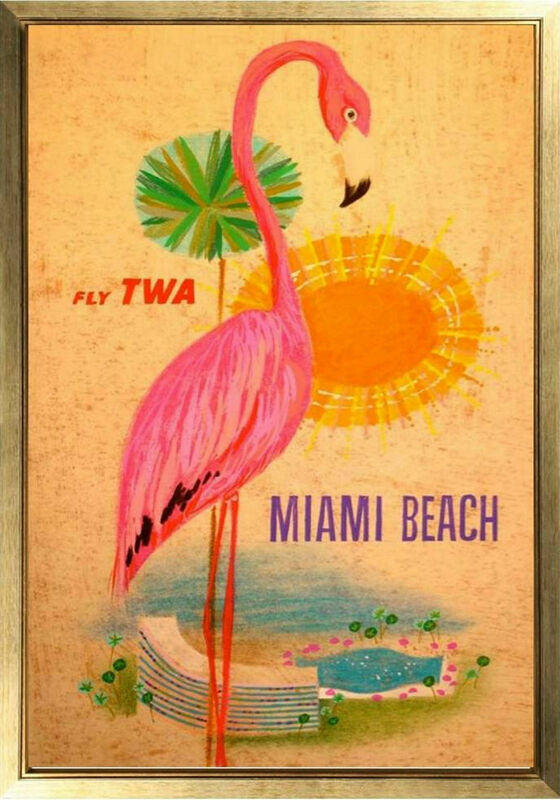 The best of his work is unbelievable and even more so when you consider that he had a whole country of competition, imagine the most effective American travel posters and chances are they will be by Klein. Anyway over to some Yorkshire delights for tomorrow’s posts.